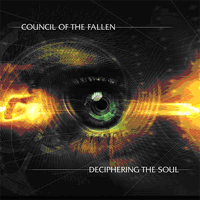 Council of the Fallen are a technial death metal/progressive death metal band from Tampa, Florida, USA, formed in 1997 originally under the name Vehement. They formed in the Fall/Winter of that year when drummer Derek Roddy, was introduced to guitarist/vocalist Kevin Quirion. They tried to find other musicians but in the non-brutal Myrtle Beach scene there were none to be found so Kevin assumed bass duties. Council Of The Fallen finally recorded a self titled demo CD in 2000 which they sent off to friends, magazines and record labels and it was well received by all. Martyr Music Group expressed interest in them and a new relationship began with the label. The band planned to record more songs in 2000 and during this time they were introduced to Sean Baxter who would later assume bass and the main vocals on the debut album. Council Of The Fallen recorded 11 more songs in late 2000 to appear on the debut full length appropriately titled Revealing Damnation. 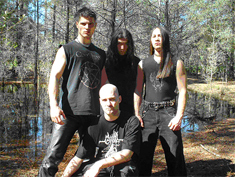 2002 and 2003 was a transition period as the band managed to part ways with Martyr Music Group after the release of Revealing Damnation and the search began for a label that would better fit the band. In 2003 with the addition of Shawn Ohtani on guitar and Tim Yeung, filling the drum slot left vacant by Derek's commitments to Hate Eternal, the band began recording the follow up album. This next album, entitled Deciphering the Soul marks the bands first outing with their new label: Season Of Mist and features a more experimental, yet still aggressive approach to their sound. They released an EP in 2006 titled "Sever All Negatives", and their latest work "An Examination of Being" was released this year.